CHOOSE SIZE 1/32OZ. 1/16OZ. 1/8OZ. PICO WEEDLESS JIG HEADS. 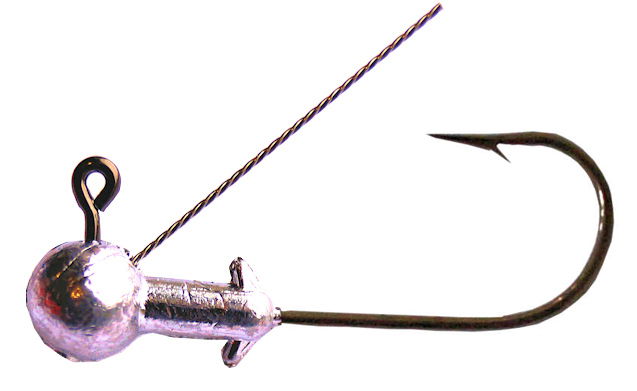 These heads provide excellent protection from snags, with a soft twisted wire weed guard. For even more protection the wire can be easily untwisted to make ultra light wires. Two keeper barbs hold plastics in place and sharp round bend hooks hold your fish.